Naturally, all this attention from murderous thugs had her neighbors understandably nervous, and now the Dutch government gamely has decided that since Hersi Ali entered the country on false premises, herstatus as a Dutch national is questionable. 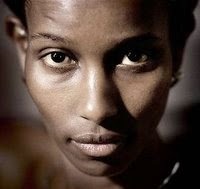 It must have come as a relief to her adopted land when Hirsi Ali announcedon May 16, that she would leave parliament, move to the United States and accept a position with the American Enterprise Institute, a conservative think tank in this the land of the free and the home of the brave. Emma Lazarus’ “Golden Door” obviously did swing wide for Hersi Ali. It was left to Brandeis to close the door. Just for the record, Brandeis University is no stranger to discrimination, religious intolerance and anti-Jewish sentiment, all assiduously practiced by the enemies of Israel. The University, named after the first Jewish Justice of the Supreme Court, Louis Brandeis, was founded in 1948 as a Jewish community-sponsored coeducational institution. In the same year, the state of Israel was established and immediately recognized by both President Harry Truman and Soviet Premier Joseph Stalin. The state of Israel is yet to be recognized by the sort of militant Islamists who plunged a knife into the breast of VanGogh. Oppression wise, both Hersi Ali and Brandeis sit in the same secular pew, and one cannot shake off the suspicion that by denying to Hersi Ali the honor it was prepared to confer on her, the university has denied the angels of its better nature. But, sadly, such is the condition of much of academia – bigoted, open mouthed and closed minded. Just an aside: aren't things like multiculturalism, diversitism, homosexualism, feminism what should be classified as "social issues?" The left has attached itself to libertarian notions like "free speech" on occasion. But, in general its objective is not consistent with liberty; egalitarian social engineering requires coercion. "Academic freedom" is fine if it means protecting counter-cultural activists from the administration, but not relevant when Western Civilization is to be promoted. Hey ho, western civ has got to go. The bursting of the college education racket's bubble has the potential to be an enjoyable spectacle for those of us who've watched the politicization of the university since about the time of the Berkeley Free Speech incident. Jeffries had also advanced a theory that whites are "ice people" who are violent and cruel, while blacks are "sun people" who are compassionate and peaceful. He is a proponent of melanin theory and claims that melanin levels affect the psyche of people, and that melanin allows black people to "…negotiate the vibrations of the universe and to deal with the ultraviolet rays of the sun." His lectures and talks have been characterized by ideological opponents as "racist rants". In an interview in Rutherford Magazine May 1995 Jeffries, asked what kind of world he would want to leave to his children, he answered: "A world in which there aren’t any white people". Jeffries has said that the 1986 Challenger Space Shuttle disaster was "the best thing to happen to America in a long time," as it would stop white people from "spreading their filth through the universe." Progressive social reforms are not so much libertarian as they are libertine. There is a slight difference. But, they're even more perverted than that. On the one hand, they do demand an ever cruder culture, do demand a reconsideration of any inherited standards of behavior, especially with respect to sexual relations, but on the other hand they have over decades maintained their appreciation of leftist police states of romantic flavor, e.g. Maoist China and Castro's Cuba.